Karen Glass invites those interested in reading a book on Mindfulness to join a discussion group that uses a book as subject matter. We'll read "No time like the present: Finding Freedom, Love, and Joy Right Where You Are" by Jack Kornfield. The book is read chapter by chapter, paying attention to the intersection of our lives and the material we are reading. We will read chapter 1 for the September 14 gathering. Everyone is welcome. Please invite friends, and call if you have questions or comments: 518-576-4335. The BIG YES SOCIETY DISCUSSION GROUP will discuss A lamp in the darkness: Illuminating the Path Through Difficult Times by Jack Kornfield. Jack Kornfield is currently considered a "single author." If one or more works are by a distinct, homonymous authors, go ahead and split the author. 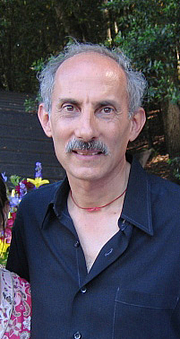 Jack Kornfield is composed of 7 names. You can examine and separate out names.